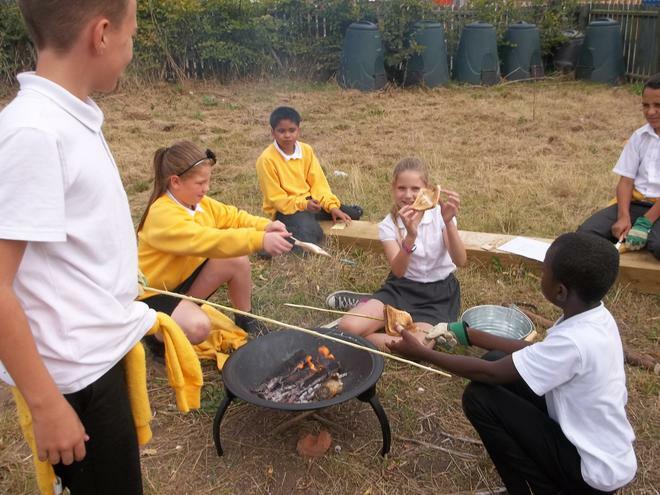 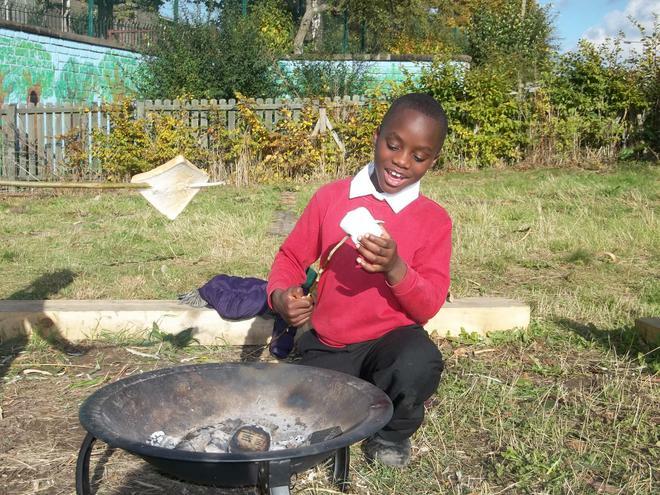 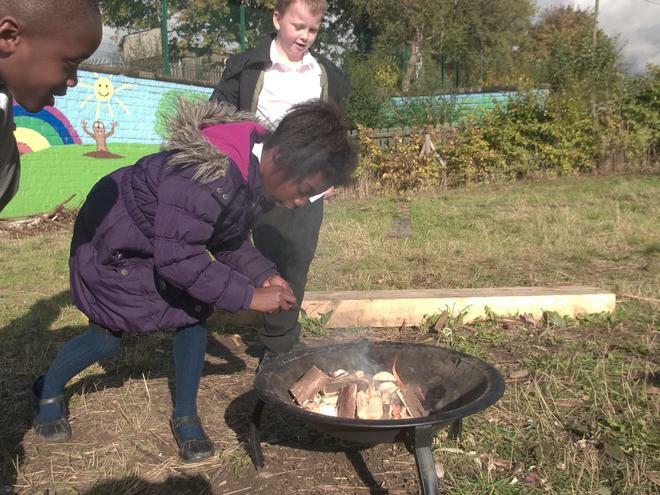 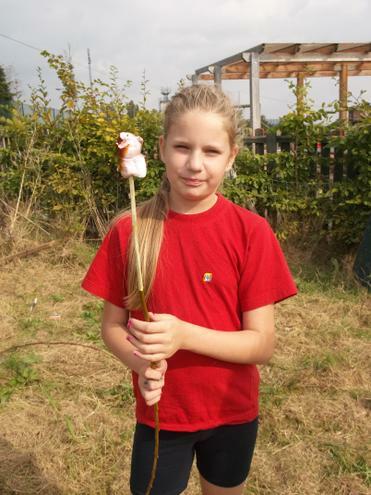 This term a selected small group of children will be taking part in fire lighting, cooking various foods such as popcorn, toast and hot dogs. 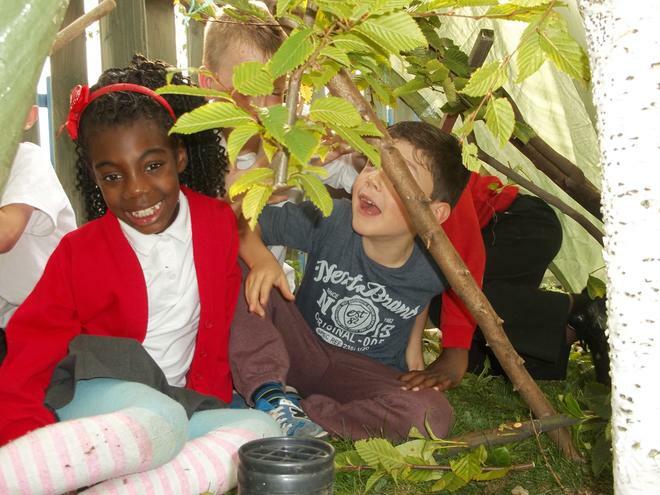 We will be doing some den building developing our skills in tying different knots e.g. 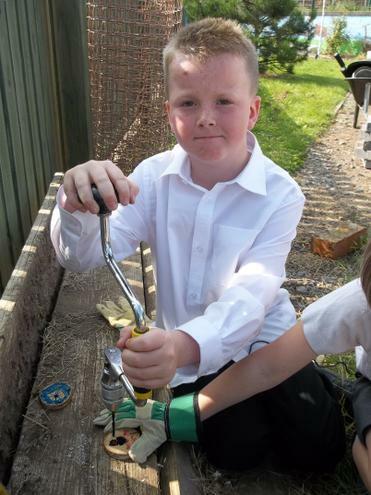 clove hitch and square lashing. 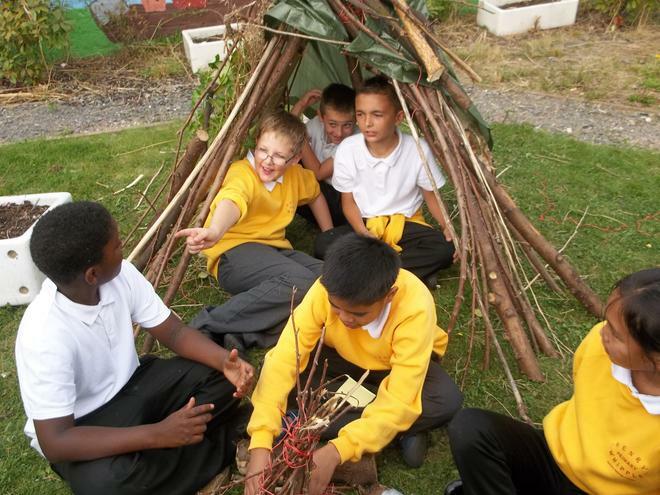 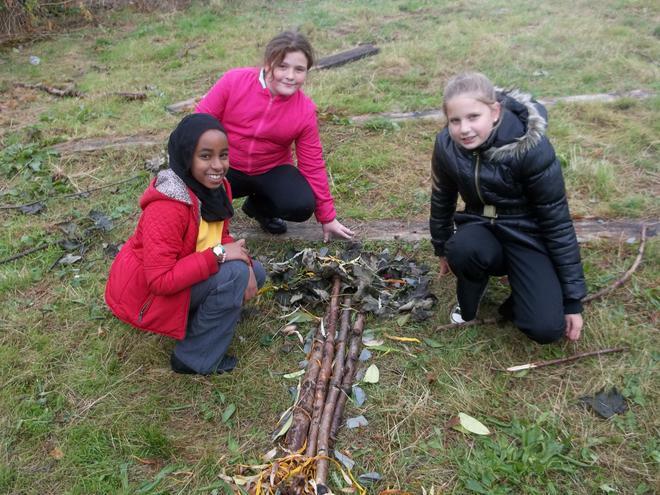 Year 6 children have taken part in den building which was put to the water test, most of the children remained dry! 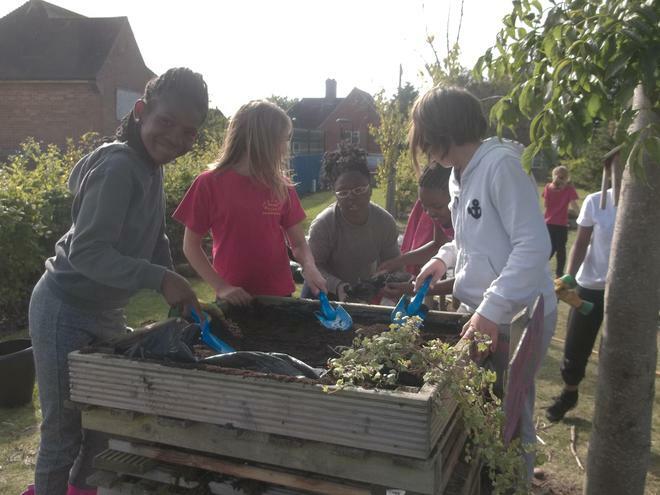 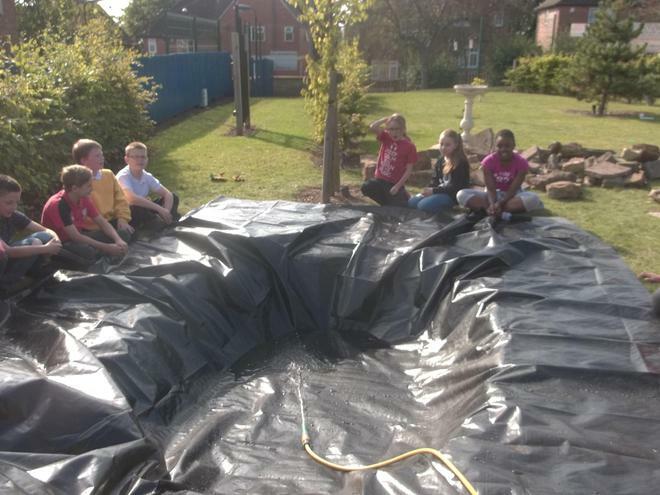 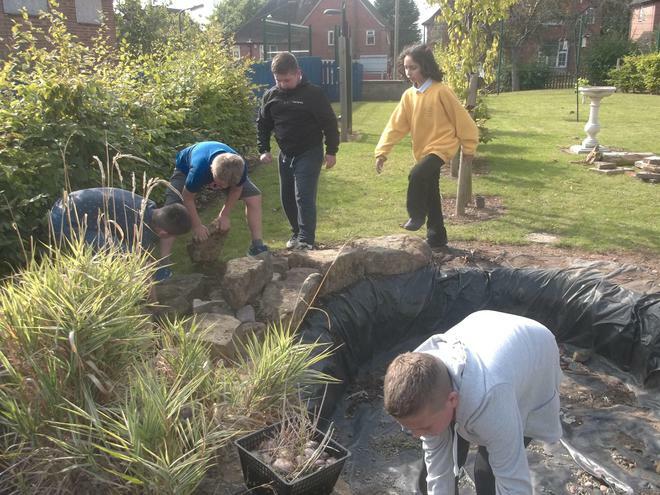 They also helped to reconstruct the mini-beast mansion and install a new liner for the pond. 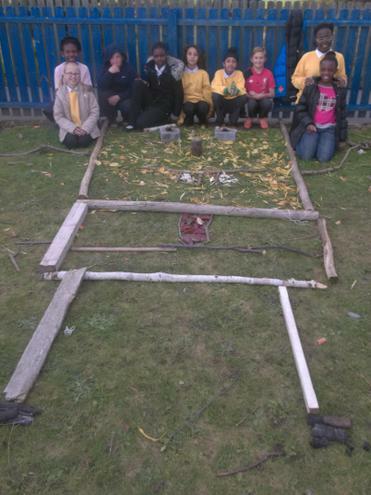 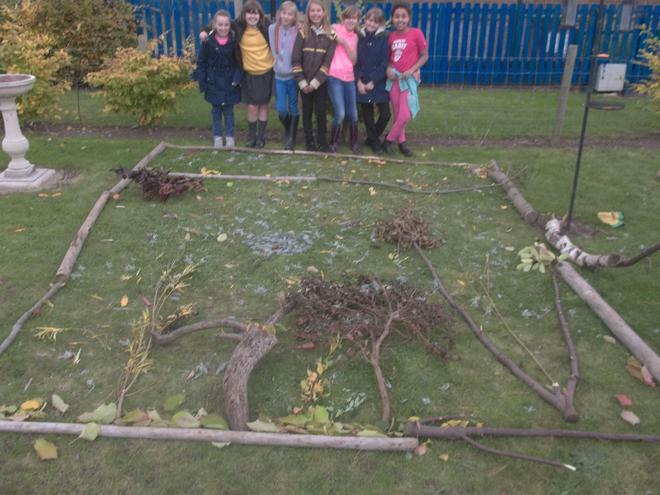 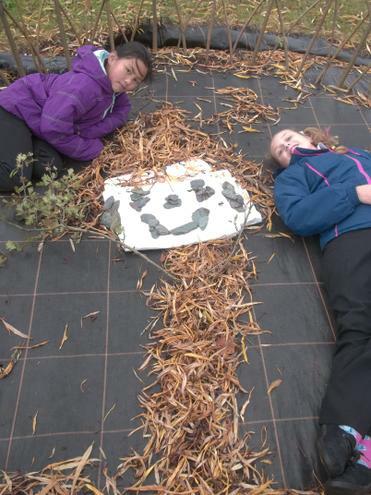 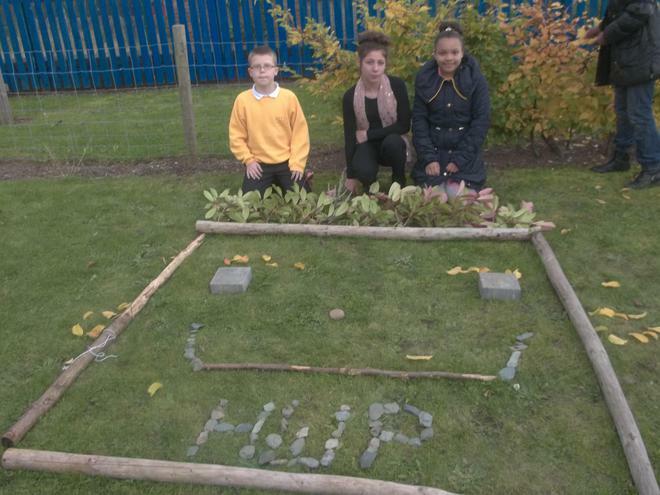 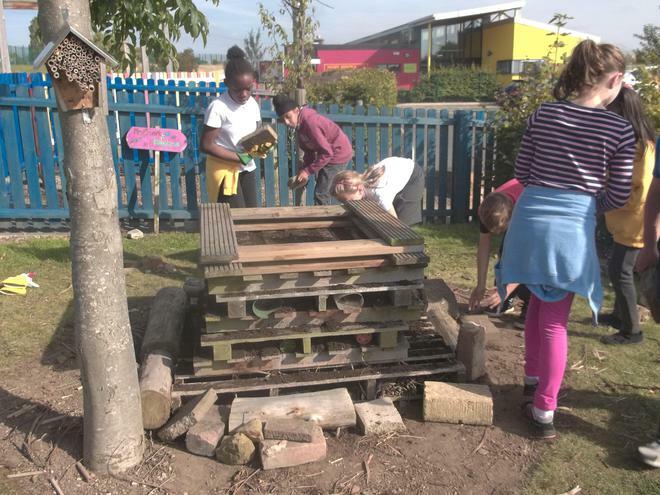 they used natural materials within the garden to create large pieces of art work. 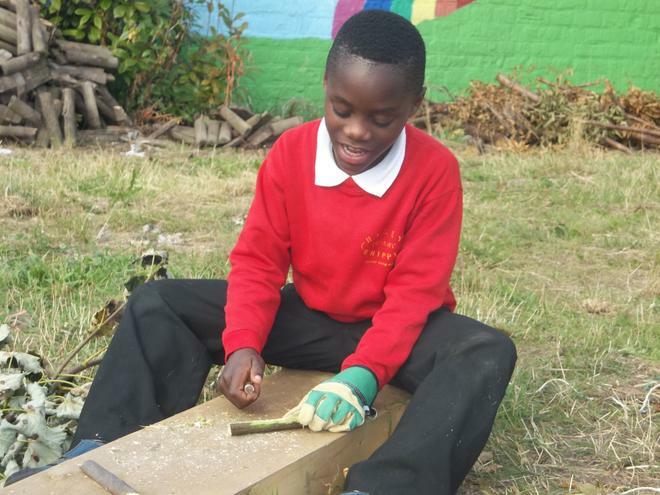 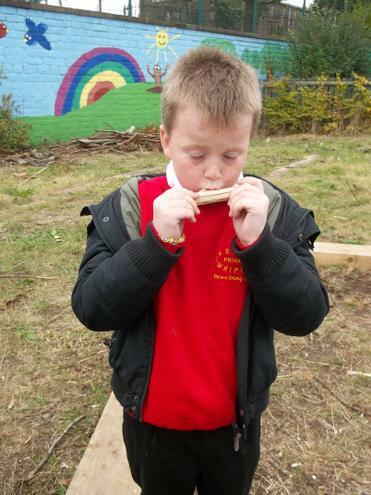 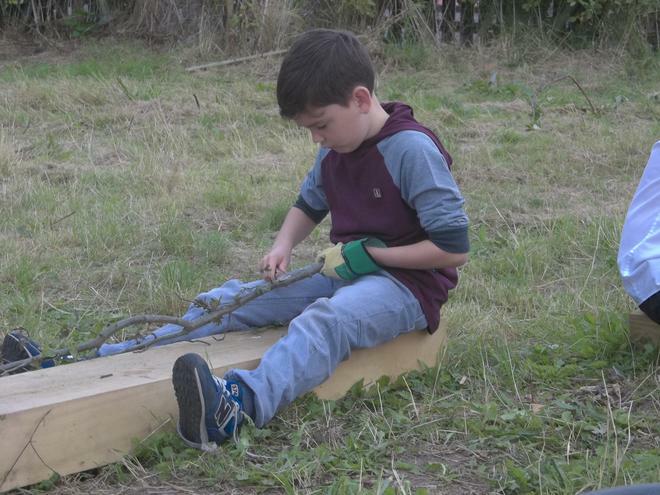 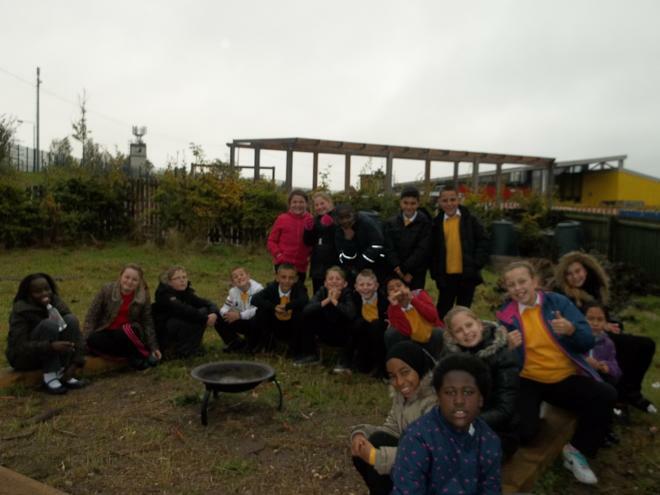 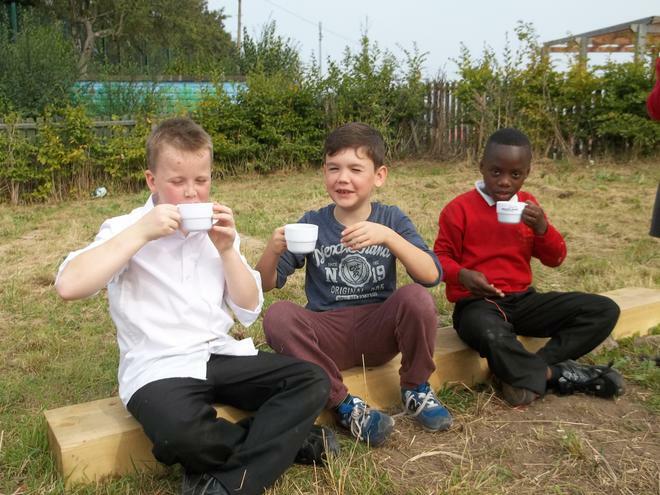 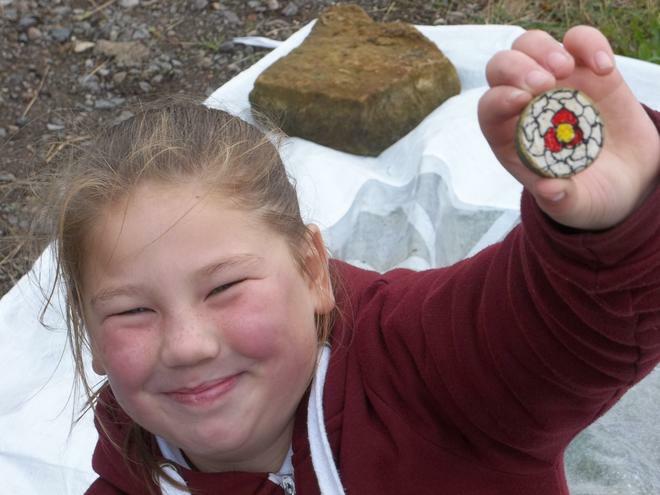 Our Outdoor Programme includes Forest Schools sessions, outdoor learning with a lead practioner for each class once a year and a commitment to at least 1 lesson outdoors each week per class. 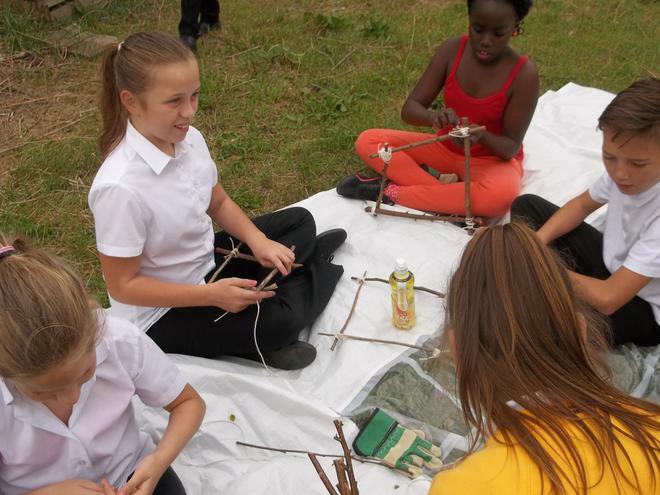 The program aims to provide highly positive, engaging and rich opportunities for all. 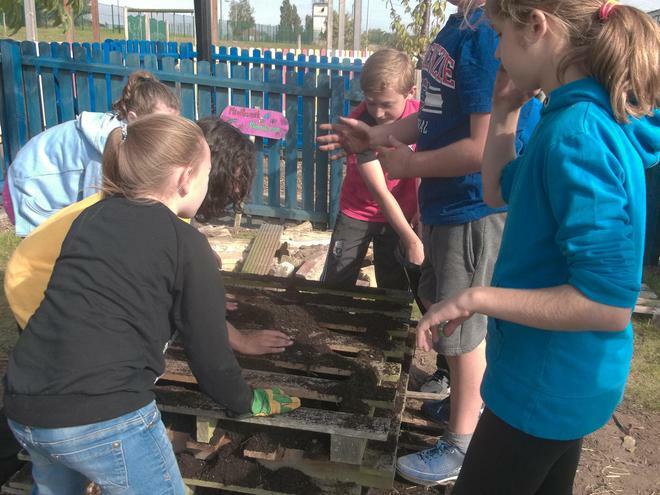 We are committed to providing practical, real life and creative opportunities which broaden our pupil’s experience, providing them with skills for future and lifelong learning.